Our linux reseller hosting are designed for professional and small size hosting companies that maintain their clients websites for long term. TechPlus linux reseller hosting are great way for you to earn money online or even establish your own hosting company. With our all linux reseller web hosting plans; we offer user-friendly control panel ''cpanel/whm''. You can easily manage your clients data, billing information and everything you require. Control panel cpanel/whm is used world wide with linux reseller hosting servers so its easy to use for all. All websites on CentOS server are managed through apache. We provide linux reseller web hosting to all major uk cities clients including london, birmingham, leeds, glasgow, sheffield, bradford, liverpool, edinburgh, manchester, bristol etc. We always make sure to use most recent softwares to provide the best service. cPanel/WHM comes with linux reseller web hosting to manage website activities like managing email accounts, creating or removing databases, installing 1-click apps. 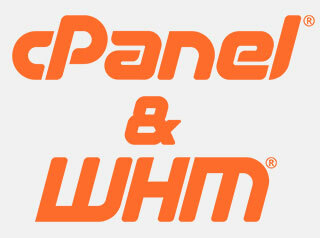 We provide cPanel/WHM exclusively free to our uk clients. cPanel/WHM is used worldwide for website solutions and provides everything a web professional requires to set up a website quickly and securely. Its an easy-to-navigate control panel, server level automation, supportability tools, and complete protection with our server-to-site security core. WHMCS is the world's leading web hosting billing & automation system. A complete solution for resellers, WHMCS provides everything you need to sell web hosting and related services with high levels of automation. WHMCS is now becoming the standard for billing control panels in hosting industry. With all linux reseller web hosting packages, TechPlus provides you WHMCS free of cost. It is the perfect way to manage clients and their billing information. How much can I earn by making a Reseller? There's no limit on your earning as its practically limitless. The reseller program allows you to sell as many Web hosting plans as you would like. Its your responsible to collect payment from your clients. We will only bill you the payment of linux reseller web hosting plan you buy from us. How you will provide technical support? Your clients will contact you at first. If you're unable to assist your client about the issue then you can directly contact our technical support department for those technical issues and we'll help you accordingly. Can I get a shared SSL certificate to use with all of my clients? Yes. All reseller accounts share SSL certificate for custom scripts and securing sensitive data. You can also purchase and use your own certificate for your accounts to use if you'd prefer. Who handles the domain name registration for my clients? We offer domain registration services for Resellers at our Reseller Domain Registration Order Form. Will my clients' sites share my sites features and control panel? You will be given complete control over what your client's have access to. You can give them access to cPanel/WHM control panel customized exclusively for your business. You can also determine which site features or applications they can have access to. No. You will be given a large amount of space to divide between each of your hosting accounts. When you use all your space, you can upgrade your reseller hosting plan. Will my client's control panel show TechPlus's logo? By default your clients control panel will be "non-branded", meaning there will be no reference to TechPlus or your company. As a Reseller you can modify your client's Control Panel to be branded with your company's look and feel.